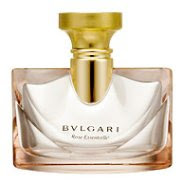 We all know and love the Luxury perfumery brand, Bvlgari!! It is hugely popular with all brides due to its combined elegance and sexiness. This year they have come on board for 2009's Ultimate Wedding Planning Party with gorgeous giveaways for everyone in attendance of the Rose Essentielle and Voile de Jasmin.... plus fabulous lucky door prizes.